Are you considering becoming a food truck operator? With over 4,000 trucks hitting the pavement daily, food trucks are a trending entrepreneurship that’s steadily on the rise. According to IBISWorld, food trucks have an annual growth rate of eight percent. Today, food truck innovations are meeting the demands of a customer’s time, money, and palate in ways traditional eateries can’t compete. Amongst the highest trending types of trucks, cupcakes, ethnic fusion, and BBQ are leading the race to appease the customer’s taste buds. Are food trucks in high demand in your area? Have you considered what it takes to operate a food truck? 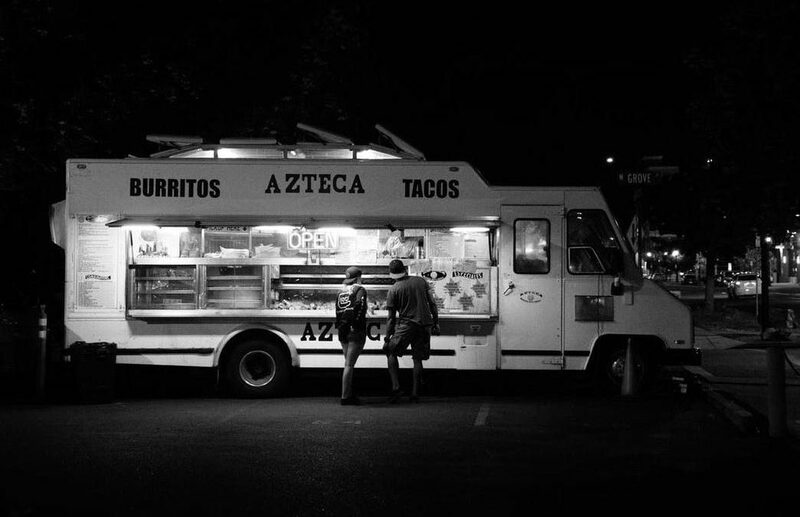 Do you know how best to protect your food truck investment with the right insurances? Let’s explore. Where Are Food Trucks Trending? What Challenges Do Food Truck Operators Face? Populace of rival food trucks. Legalities on distance from brick and mortar establishments. The biggest business concern reported by food truck operators is in insurance expectations, needs, and costs. Worker’s Compensation – From limited work space to mobility itself, there are innumerable circumstances by which employees can be injured on the job in a food truck. In some states, it may be mandatory to carry workman’s compensation insurance. General Liability – This, as it does with standard businesses, protects your premises and products from incidences like slip and falls, property damage, product loss or theft, advertising injuries, and so forth. Commissary kitchens often require it, too. Property Damage – This will protect the truck (as a property) and all attached, semi-attached, and remote equipment. Truck Coverage – These are specific comprehensive collision or inland marine policies to protect the food truck and bolted, plumbed, or gas line-attached equipment from damages related to collision, vandalism, or theft. Content Coverage – These policies cover content items not bolted, plumbed, or gas-lined into your truck. In other words, loose equipment in the truck. Equipment used at your base of operations but that do not travel with the food truck would also be covered in this type of policy. Auto Liability – This is the policy that covers injury and property auto accident damage as the food truck is driven from location to location. If the truck is moving, then this insurance is applicable; once parked, the general liability coverage is applicable. While these are the main insurances to consider, there are some additional coverages to consider, such as income protection for when you lose business due to a covered loss or food spoilage insurance to cover ruined food items. Without the right insurances, even a seemingly minor incident can cost you thousands upon thousands of dollars and put you out of business.